Check out the following videos for information about preparing for, and a student’s perspective on, our trip to Rwanda in May of 2013. You can also see a gallery of images from the trip! Update: The links in the original post below are no longer active. 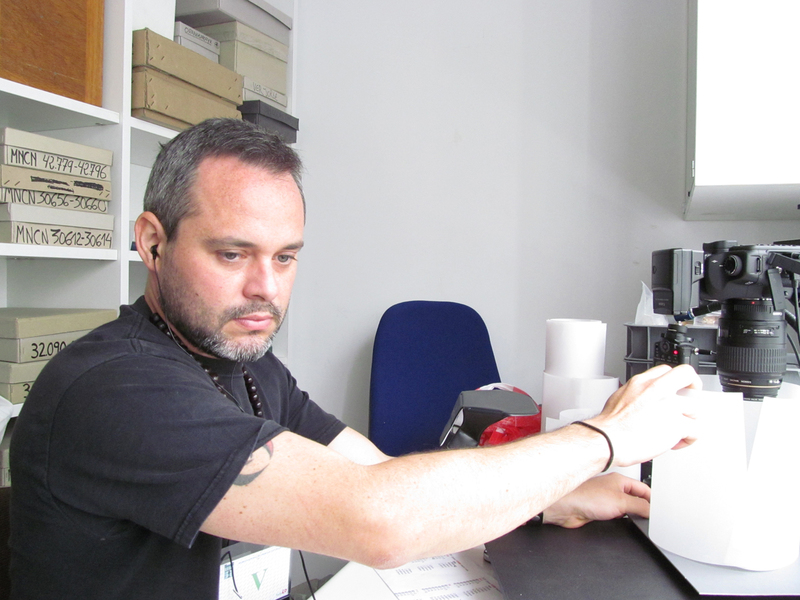 However, you can view two videos on the CMNH YouTube site here and here. Gavin Svenson, Nate Hardy, and Julio Rivera are departing on a two week collecting trip to the Loreto Province in northern Peru. 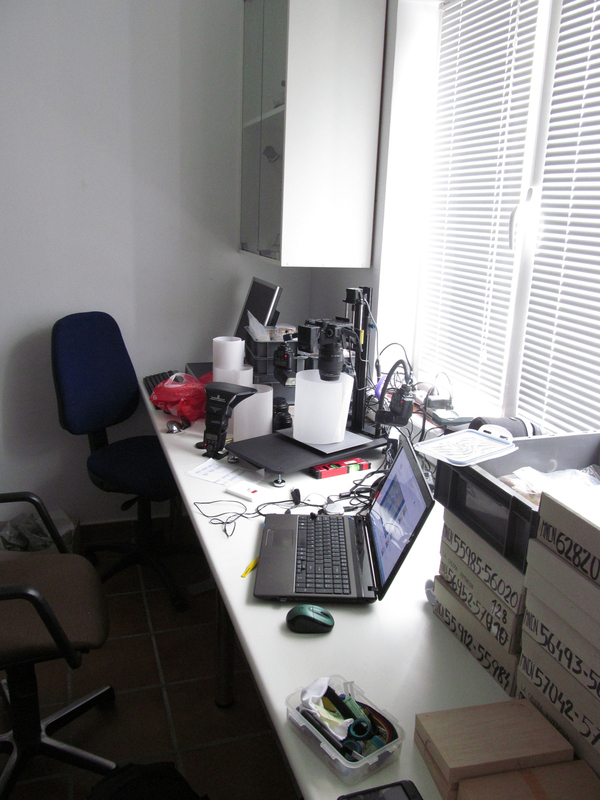 You can follow this trip at the CMNH website where tracking information and from the field updates will be posted. Otherwise you can see the tracking updates directly from our GPS link mapping site, which provides location data and location posts throughout the trip. 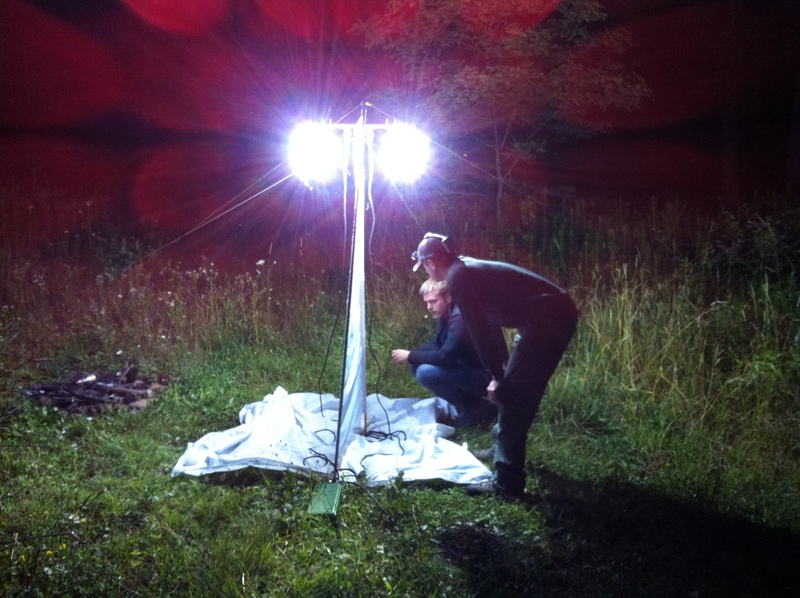 Frank Wieland, Gavin Svenson, and Derek Svenson doing some vapor light collecting in Chautauqua County, western New York. 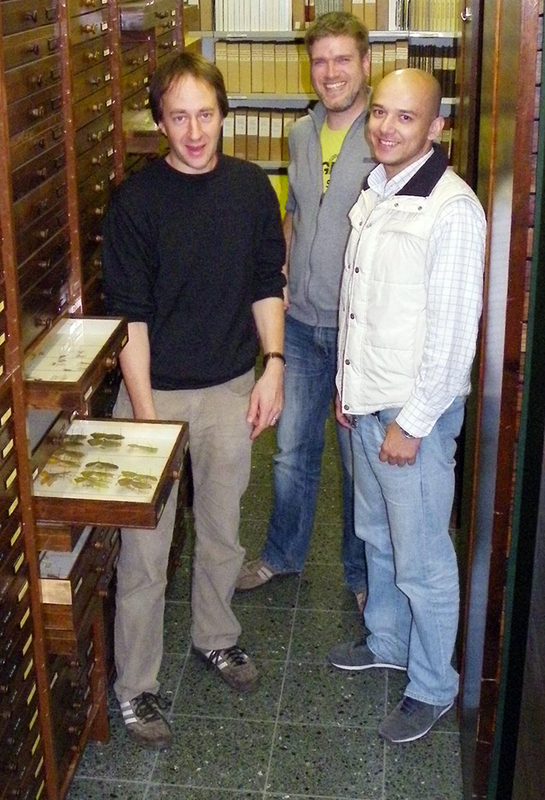 After attending the Evolution 2012 conference in Ottawa, Frank Wieland and Julia Goldberg (University of Goettingen, Germany) visited Lyman Entomological Museum in Montreal last week. 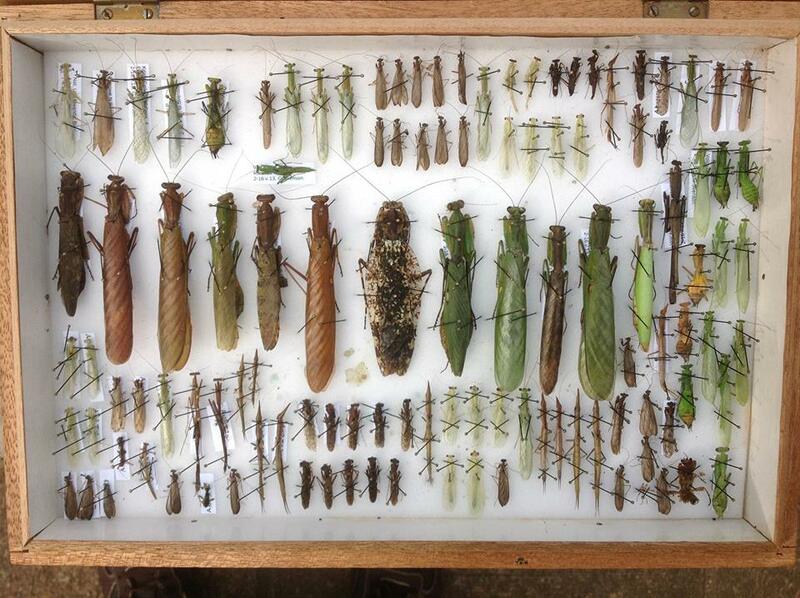 Curator Stephanie Boucher kindly granted them access to the insect collection of approximately 3 million specimens, where Wieland and Goldberg studied the Mantodea and Phasmatodea collections to get an overview of the material and take pictures. 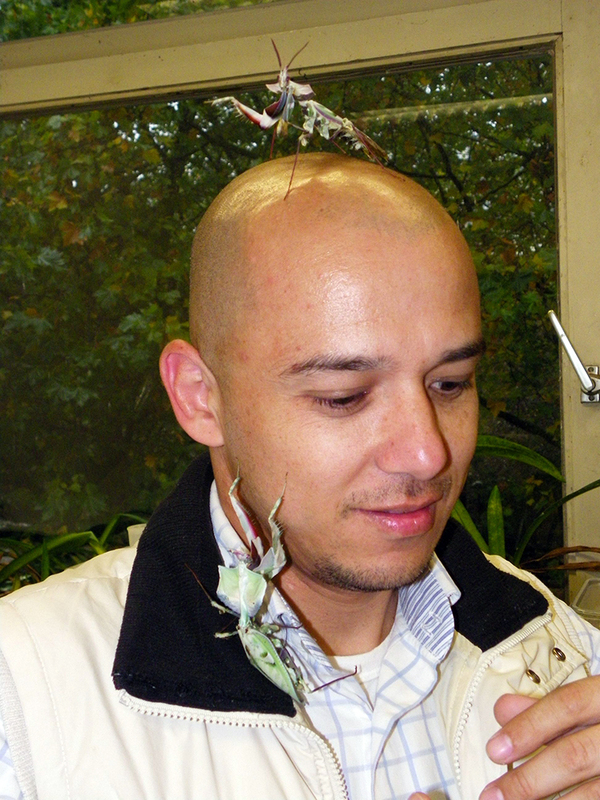 Wieland in the Mantodea collection of Lyman Entomologial Museum. 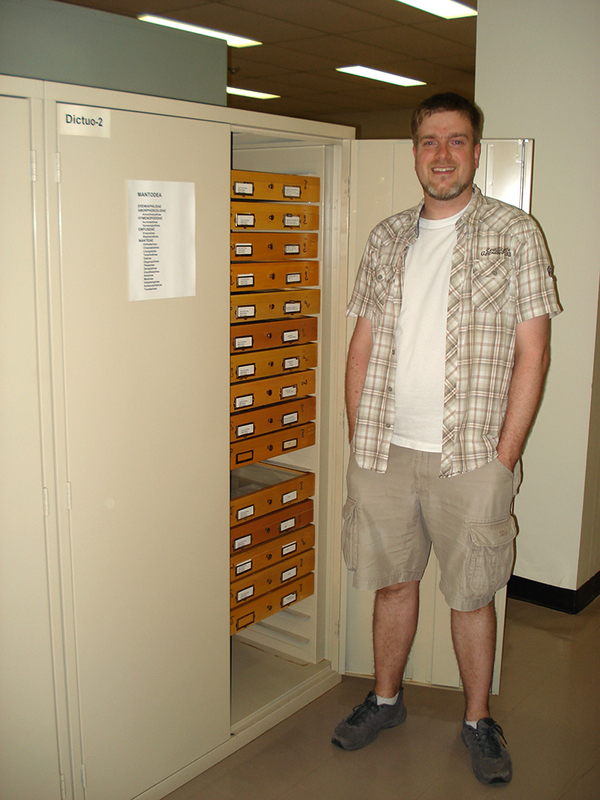 Wieland in front of the Mantodea collection of Lyman Entomological Museum in Montreal. 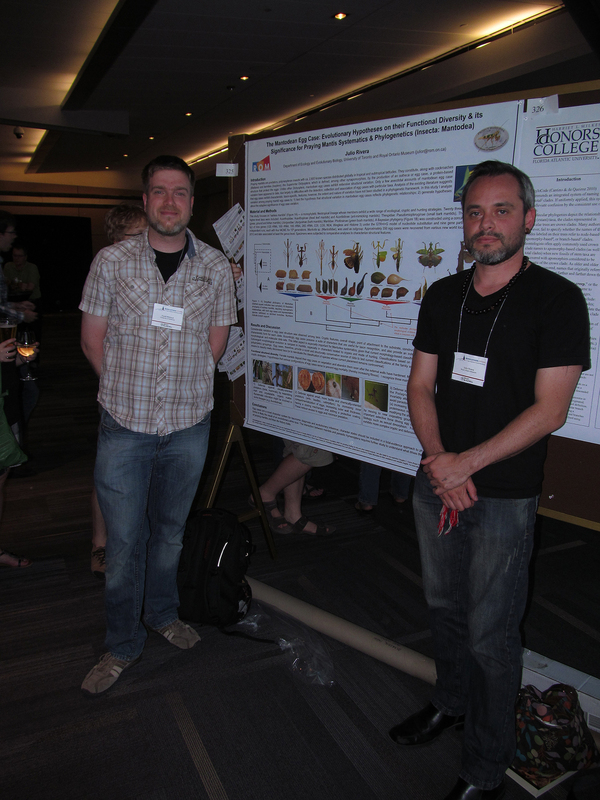 Frank Wieland and Julio Rivera present their praying mantis research at the Evolution 2012 meetings in Ottawa, Canada.